Friday was Saint Nicholas Day. To celebrate, Saint Nicholas, better known as Mommy, gives the kids an ornament and candy annually. I try to select an ornament based on their interests that year. They know it is from me and they have come to expect it. Not sure I like that. Okay, I don't like that. This year, I have their packages all prepared for them when they got home from school Friday. Alivia saw them first and saw her candy, Dots, and said, "Can I switch? I don't like it." Really? I told her she could switch with me (aka, have nothing). Seriously, she was crying over the candy. Mayb she has outgrown the fun and spirit of it all, or maybe I have, I don't know. Asher and Addison were excited by their treats. 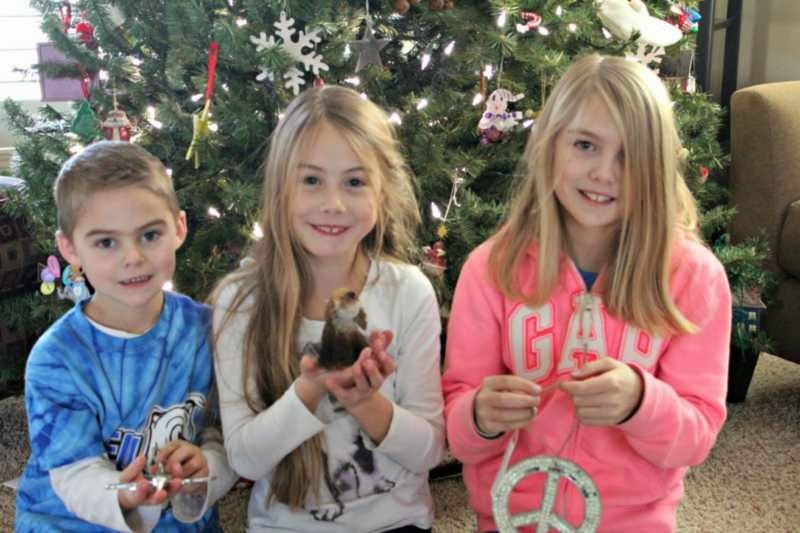 Asher got an airplane ornament and M&Ms, Addison a Lab puppy and Twizzlers and Alivia a peace sign ornament all from Pottery Barn (after Thanksgiving 25% off with free shipping!) along with the Dots that she was not happy about. Most of the kids like this tradition, so we will try again next year. The ornaments are helping to fill our tree, and their trees someday, too! That is a neat tradition! Love it! Does Santa come on Christmas too, or just that day?